Really Easy to Use and Customize. Create content in a drag-n-drop way and style it up like a pro! Meet this perfect tool for displaying your posts in the form of neat content blocks with easily changeable layout and customizable appearance. This widget will assist you in adding your posts to the website’s page in the form of beautiful tiles block with immaculate layout and precise style. 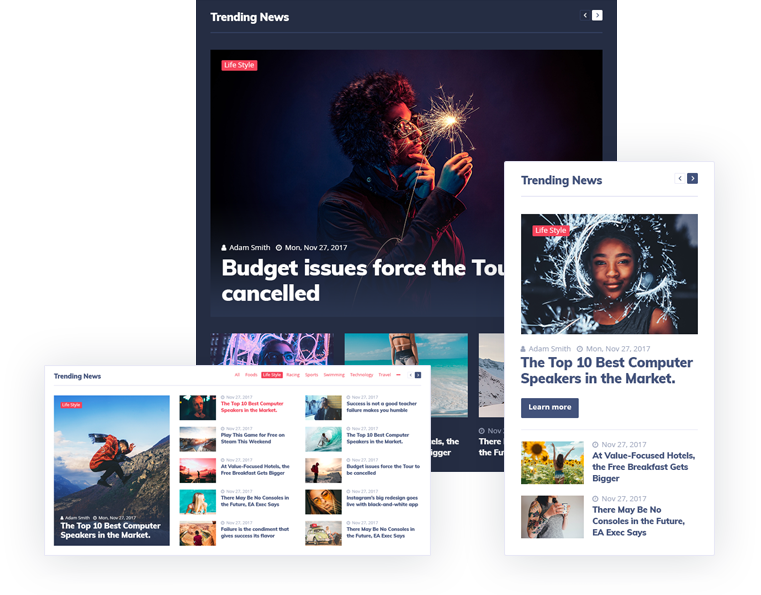 This widget is created for adding an eye-catching ticker content module to website’s page, displaying the recent and most important post titles. 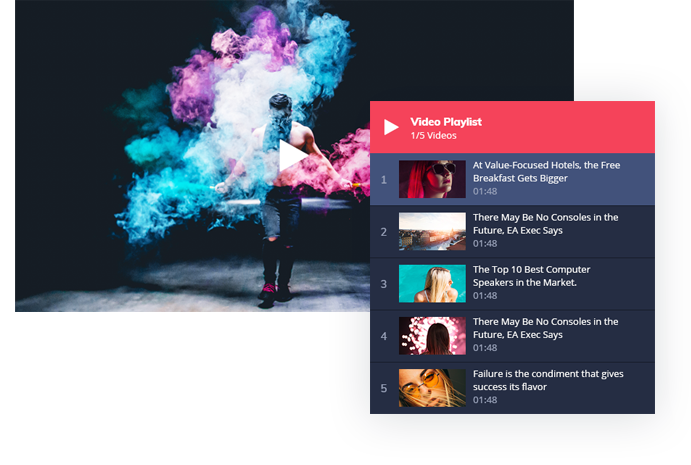 This widget is invaluable if you want to showcase the videos in a stylish way, arrange the playlist in a pixel-perfect layout, and change the style of the thumbnails. All You Need to Empower Your Blog! 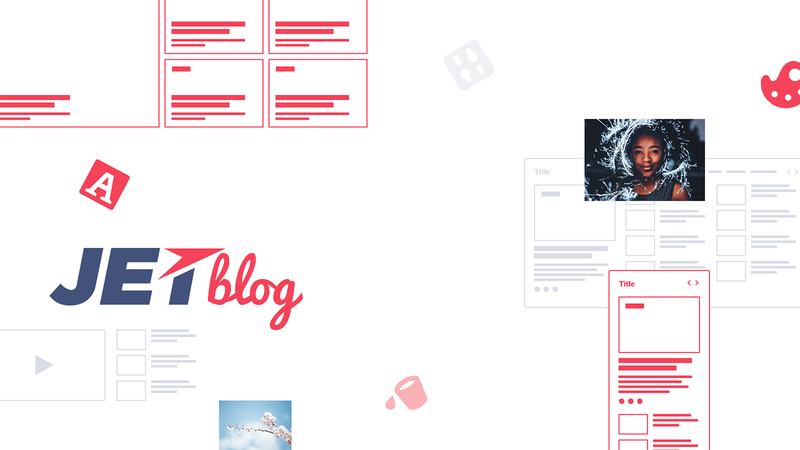 JetBlog empowers Elementor live page builder, adding extensive content modules to it! Meet the truly knockout content modules to use when creating pages with Elementor! Wield the power to customize blog modules using multiple customization settings! 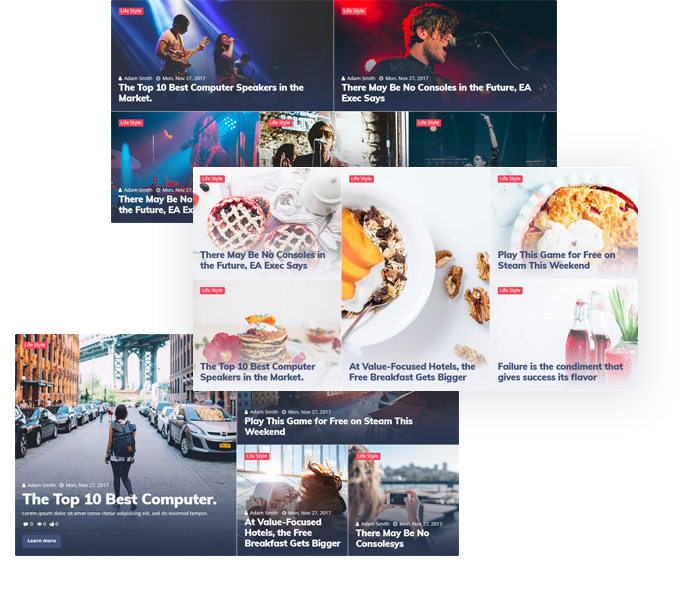 Select one of multiple stylish layouts to apply them for content modules! Revel in the opportunity to create a neat and classy typography to use it for your site! Try out using different colors for your content to make it look even more gorgeous! Create breathtaking backgrounds with gradients and different opacity values in several clicks! 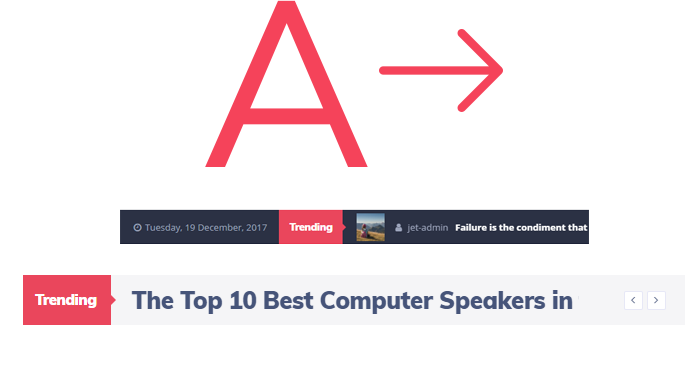 With JetBlog your content will look its best on large screens as well as on the smaller ones! Feel free to contact our 24/7 support team to get professional help whenever you need it!